Very soon after Mary gave her consent to God to become the Mother of his Son, Jesus, she begins her missionary life as his first disciple, and visits her cousin, Elizabeth. Mary was the first to receive Christ, and she spent her life bringing Christ to others, and others to Christ. This continues to be the special ministry of Mary even today. Elizabeth and her child demonstrate the result of receiving Christ, his message, and his disciples; JOY. 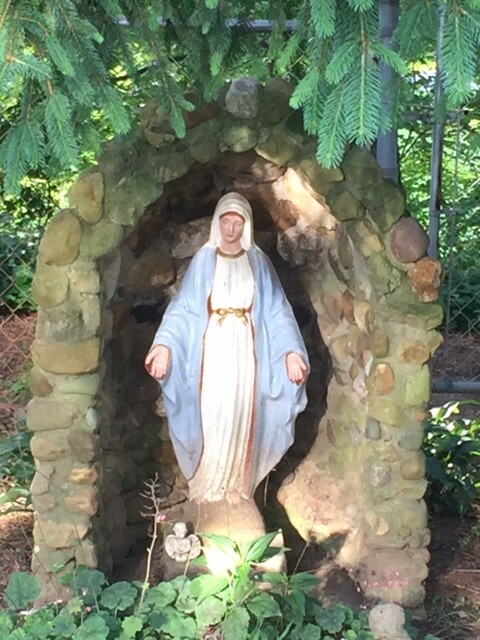 On this feast of the Blessed Mother, we recall that through Christ, we have become his adopted brothers and sisters, making Mary our Mother. As Elizabeth, Mary brings Christ to us, and us to Christ that we may experience the true joy of believers. Now, Mary’s work of discipleship is ours. Let us joyfully bring Christ to others and others to Christ, that they may know the joy of salvation!